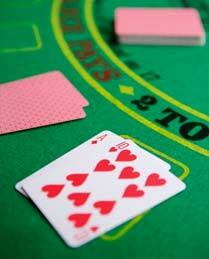 Unlike with other table and card games, where the results simply cannot be predicted, online blackjack can be. Without a doubt, nobody can guarantee a win, since the only thing you can do is lower the house advantage, but statistics say that effective strategies can help reduce this to a mere 1%. Such blackjack strategies would depend on your personal decisions of hitting, standing, doubling down or splitting your cards. However, it isn't always easy making proper decisions at casinos online, most of all if you're just a novice and aren't aware of how to actually calculate the probable odds. Fortunately, there are some great strategies for soft hands and hard hands that can help. First and foremost, you need to understand what soft hands and hard hands are. Basically, soft hands are hands with an Ace, and hard hands are hands without one. Without a doubt, hard hand strategies and soft hand strategies will be different, though, so here are several factors you need to consider. 1. Stand with A8 and A9, no matter what the dealer's hand is. 2. Always double down with A4 and A5 if the dealer is showing a 4 to 6. In other cases, hit. 3. With an A2 or A3, and the dealer holding a 5 or 6, double down. In other cases, hit. 4. If you are holding A6, double down, if the dealer has a 3 to 6. In other cases, hit. 5. If you have A7, double down if the dealer has 3 to 6. If he has 2 or 7, stand. In other cases, hit. 1. If you have a total of 17 to 20, stand. 2. If you have a total of 13 to 16, stand provided the dealer shows a 2 to 6. In other cases, hit. 3. If you have 12, stand if the dealer shows 4 to 6. In other cases, hit. 4. With a total of 11, always double down if the dealer shows 2 to 10. If he has an Ace, hit. 5. With a total of 10, double down if the dealer shows 2 to 9. In other cases, hit. 6. If you have a total of 9, double down if the dealer shows 3 to 6. If he shows a 2 or a 7, hit. 7. With a total of 8, always hit.